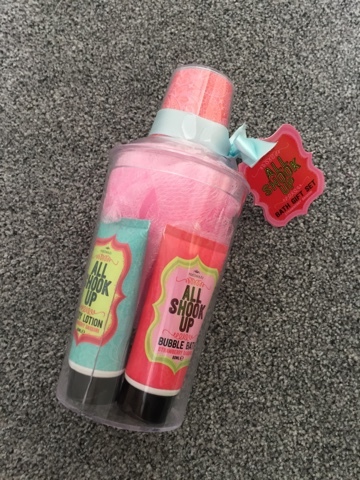 How cool is this all shook up strawberry daiquiri set from mad beauty?! It contains a bubble bath, body lotion, shower puff and all in a cocktail shaker! I love the smell of this scent and it would make a great gift. I mean, who wouldn’t want to smell like strawberries? !